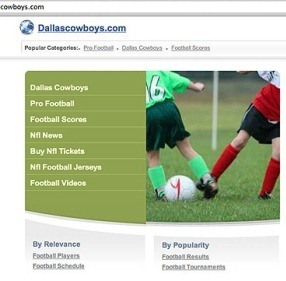 2010: The NFL’s Dallas Cowboys forget to renew the domain name of the team’s official Web site, which is taken down and replaced by a generic domain-name-for-sale page featuring a stock image of two children playing soccer. The oversight becomes evident on the same day that the organization fires head-coach Wade Phillips, who led the team to just one win in its first eight games in 2010. 2010: Forty-five hundred passengers and crew are stranded at sea aboard luxury cruise liner the Carnival Splendor after an engine room fire disables the ship. The 952-foot liner—adrift 50 miles off the coast of Mexico—is later towed to San Diego and passengers are compensated with a full refund and credit towards a free Carnival Cruise Lines cruise. 2008: The fire safety system on the Russian nuclear-powered submarine Nerpa malfunctions on a test run in the Sea of Japan, releasing Freon gas that kills 17 civilians and three seamen and injures 21 others. It is Russia’s worst naval accident since torpedo explosions sank another nuclear-powered submarine, the Kursk, in the Barents Sea in 2000. 2006: In a move that most felt was long overdue, U.S. Defense Secretary Donald Rumsfeld, 74, steps down from his post, having presided over a very unpopular and unsuccessful Iraq war. 2006: A Securities and Exchange Commission filing reveals that the N.B.A.’s New York Knicks agreed to pay former head coach Larry Brown $18.5 million as a settlement for firing him with four years left on his $51 million five-year contract. Despite an N.B.A.-high $120 million payroll, Brown posted a franchise worst 23-59 record during his only year with the team. 1956: After reviewing thousands of names, the Ford Motor Company settles on Edsel for the name of its latest state-of-the-art model. Edsel was the oldest son of company founder Henry Ford. 1939: A hidden time bomb explodes in the Bürgerbräukeller [a large beer hall in Munich], just minutes after German dictator Adolf Hitler curtails a speaking engagement and leaves the room. The bomb—planted by a lone wolf named Georg Elser, who worked in an armaments factory—kills eight people and injures 63 others. Even before the explosive device detonates, Elser is arrested attempting to cross the Swiss border illegally, and soon connected to the failed assassination attempt. He is interned at Sachsenhausen concentration camp and treated, remarkably, as a privileged prisoner, most likely because Hitler planned to make him the centerpiece of a post-war show trial. In 1945, with the war as good as lost, Elser is executed by the Nazi regime.